Emphasis is on a team’s ‘potential’. 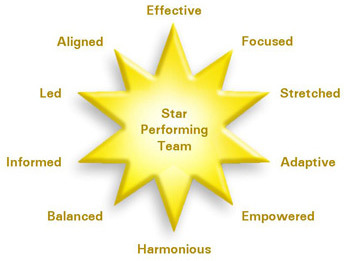 There is nothing inherently magical about a team that automatically leads to high or ‘star’ performance. However, research and conventional wisdom have pointed to certain characteristics and behaviours which can unlock that team potential. To read more on the profiles which measure performance against this model, Please click on the folowing links.